Cotton fabric suitable for patchwork. 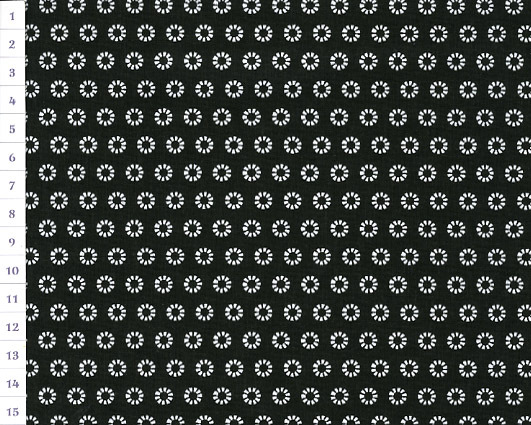 White daisy design on black fabric base. Small print fabric. If you need thematically corresponding cotton fabrics, please see our Fabric Packs offer.